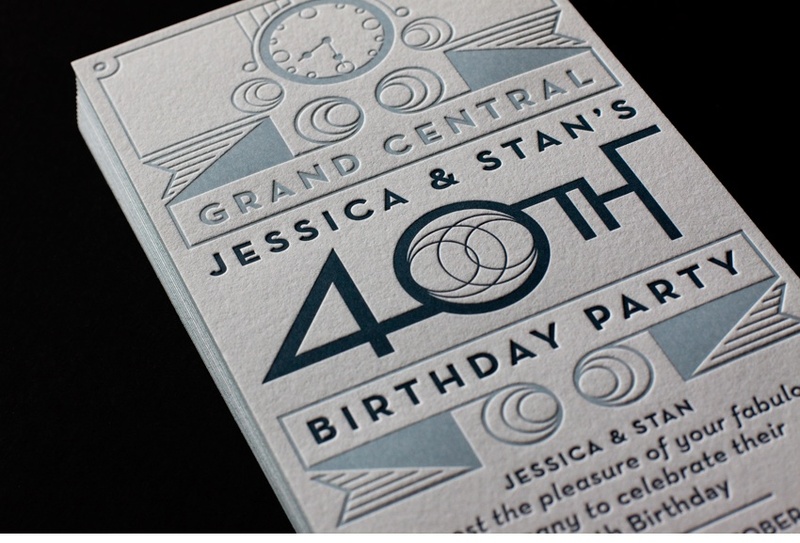 Letterpress is a form of relief printing (Relief printing is a process where protruding surface faces of the printing plate or block are inked; recessed areas are ink free. )On our press, a mechanical roller carries ink to the raised surface of a printing plate, which represents the image to be printed. Two cast iron platens then close to apply pressure between the inked plate and the surface of the print. Upon release, the sheet is retrieved and the process repeats for the next sheet. In this way, colors are added one at a time, in a sheet-fed process. Often, the result is a tangible feel to the impression, although this should not be confused with a true emboss,(which is molding or carving in relief, or to decorate as if with a raised design,) which “distorts” paper around a “male” die and a “female” die, causing an actual lifting around those dies. We have a wide range of letterpress printing equipment that enable us to offer many additional, value-adding services, such as numbering, special die-cutting, actual embossing, scoring and perforating.We can do these things quickly, so that your job is ready when you need it. We have been doing so for our Long Island neighbors and customers for many years. Most importantly, it is the skill and expertise of our professionals that enable us to provide many of these additional in-house services, giving you the unique finished product that you desire – from the simplest to the most complex. If you have any questions, give us a call today. Our professional staff will be more than happy to assist you in any way possible. Weeks & Reichel of Sayville, Long Island, thanks you for considering us for all your business letterpress printing needs.